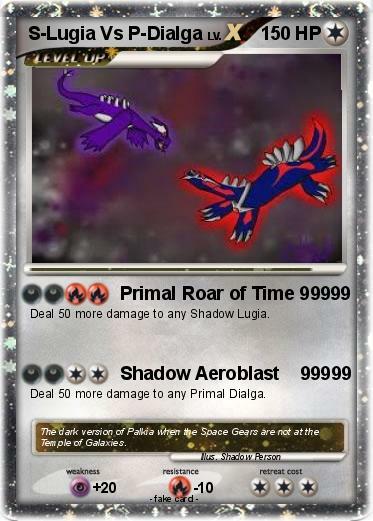 Deal 50 more damage to any Shadow Lugia. Deal 50 more damage to any Primal Dialga. Comments : The dark version of Palkia when the Space Gears are not at the Temple of Galaxies.